Hello Welcome back to my blog! We join our St. Louis Salesman back in New York, this time he visits some manufacturer's who use clay that will surprised you. The image above is at the Library of Congress, Photograph Library. 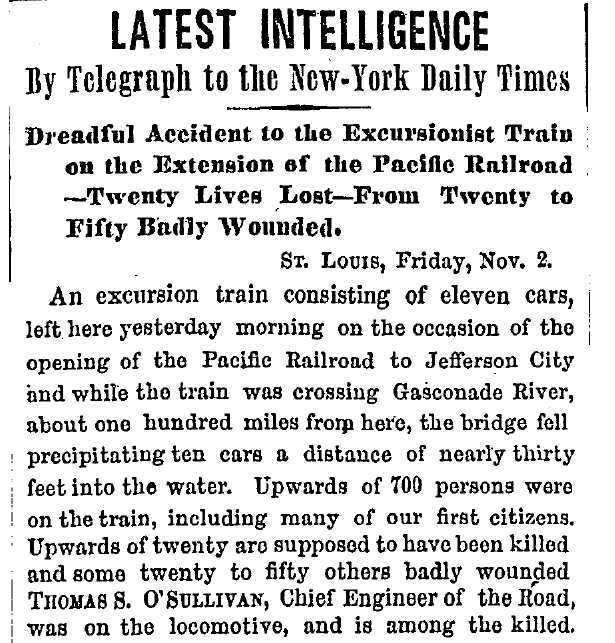 He makes notable side trips and one where he meets Oliver Byrne gives me chills running down my spine, as I wonder why he isn't talking about the worse train accident carrying the wealthy St Louis citizens on the maiden trip west to Jefferson City, Missouri. 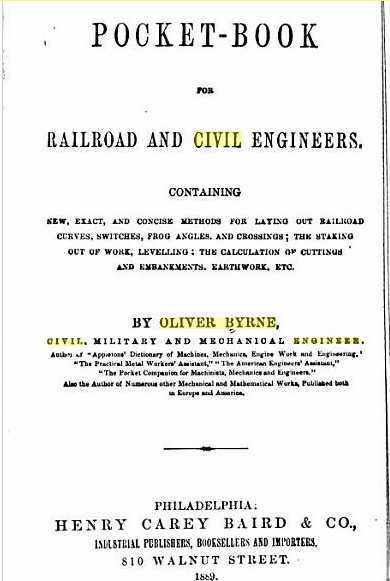 A bridge collapsed Nov 1th and it is November 8th when he meets Oliver Byrne, who is a civil engineer and an expert in building train bridges and our salesman is babbling about his idea for a patent. All I can figure is he was in East Bennington, Vermont and missed the newspapers announcement like the NY Times. I am sure he will be shocked finding out the news when he gets home. 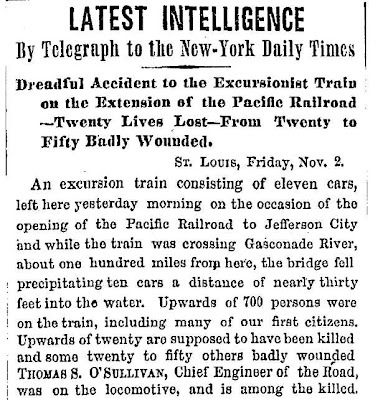 Per Wikipedia- November 1, 1855 – Gasconade Bridge train disaster -With more than 600 passengers aboard a Missouri Pacific Railroad excursion train celebrating the railway line's opening, a bridge collapsed above the Gasconade River, and the locomotive plus 12 of the 13 attached cars plunged into the water and embankment below. 31 people died and hundreds were seriously injured. This transaction is written on the back of the steamboat Enrollment for Terrill & Boyd. Pierre Millicourt Papin- Another partner of Tracy & Papin- he is in Logan & Sioux City with Henry W Tracy. 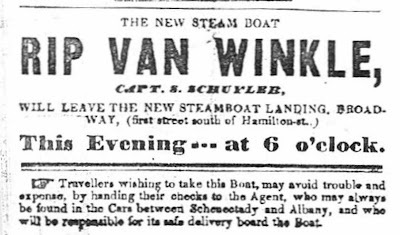 I left Bennington at 3 o’clock p.m. and arrived at Troy before sundown so I able to board the [steamboat] “Rip Van Winkle” with Capt Schuyler which started for New York at 9 o’clock in the evening. I got up early on Friday, November 2nd and found we were some fifty miles from New York. I enjoyed the scenery very much, and (for my own gratification) I would have preferred to have been a hundred miles up instead of fifty. I saw many, many beautiful residences along the east bank. I wish I owned one, well furnished, on one of the hundred pretty places that are yet vacant. 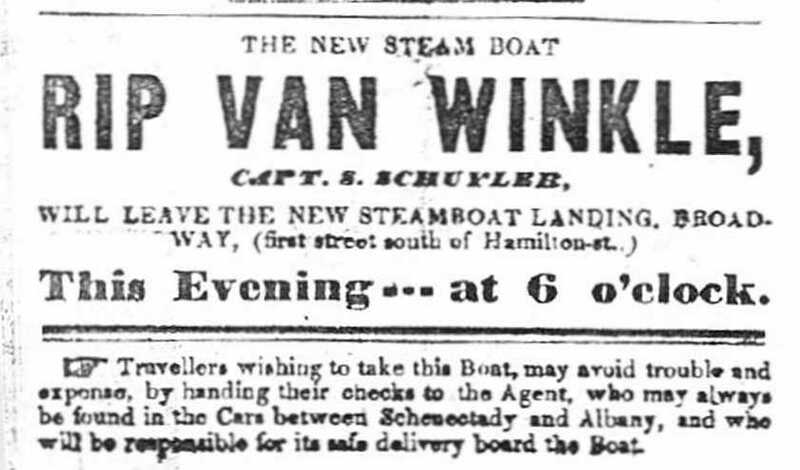 The boat arrived in New York about 10 o’clock a.m. at the Broadway Landing near Hamilton Street. 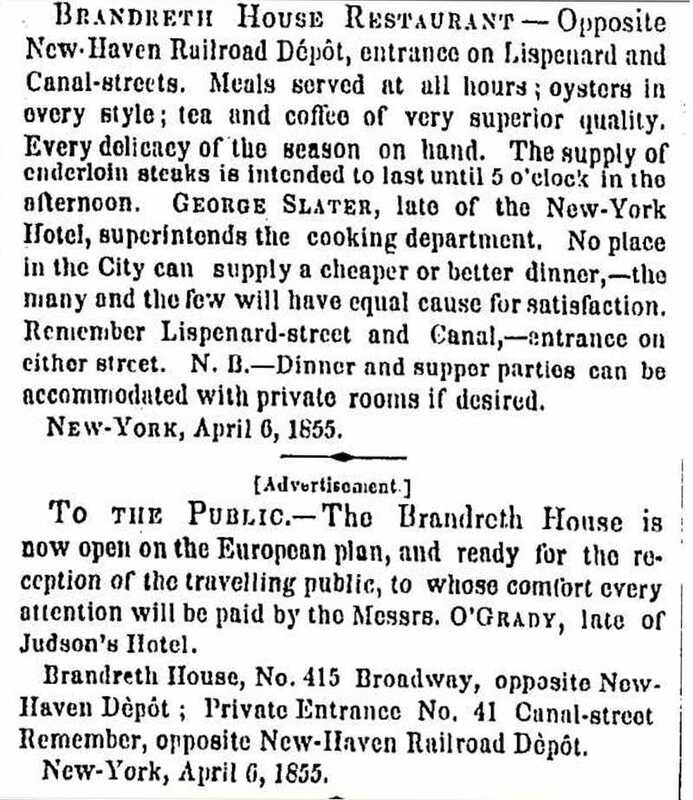 Across the street from the New Haven Depot, I checked in a second time at my favorite hotel, the Brandreth House (415 Broadway) with Messrs. O’Grady, manager and then took a good wash [bath]. With clean attire, I walked to the post office and found there a letter from darling wife, and one from my brother Chas B.- which are indeed welcome. I spent the balance of the day getting sample boxes of kaolin started over to Green Point and Jersey City and in showing samples. 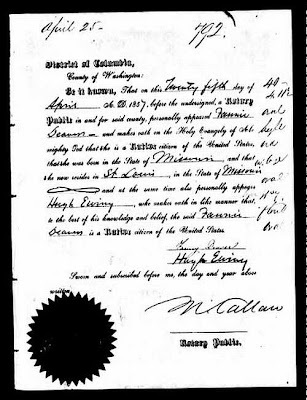 (As I found that the boxes I had reserved for them were not yet at the office of Adams & co.). 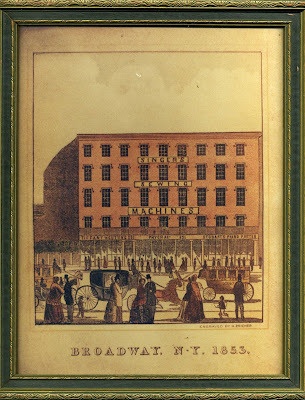 Halem NY- Haviland Bro & co. I left samples with Messr. 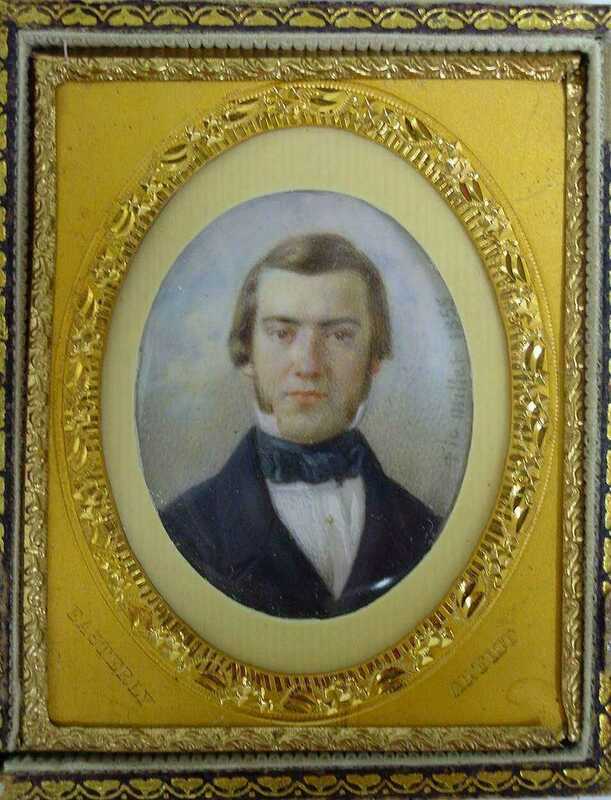 Haviland, Brothers & co., No. 41 John Street in Harlem and they promised to send some to France. 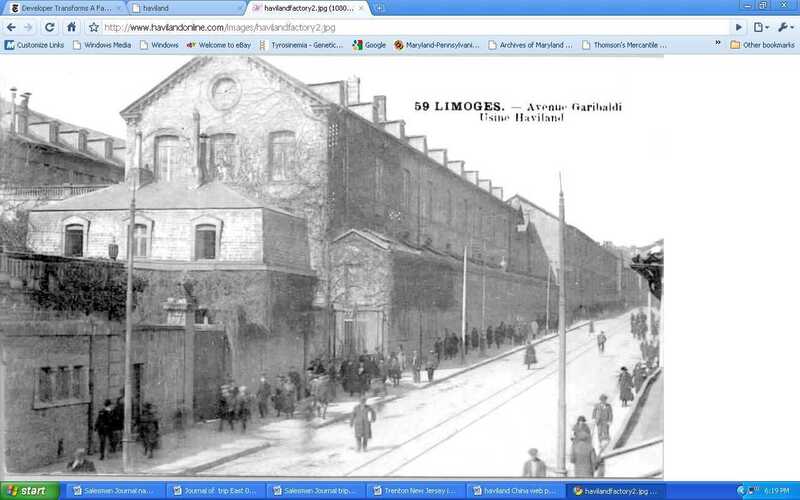 (They are interested in a factory there) and will have our kaolin it tried. They told me they are no judge of the article since Mr. Haviland is a businessman with past experience selling dry goods and not a potter. His interest manufacturing chinaware began when a man with a broken tea cup came into his shop and asked him to repair it and he was able do so. Realizing money could be made he toured France and learned the business. They told me that the clay that they use in France cost about 7/8th of a cent per pound ($17.50 per ton) when all ready to work (It containing probably 25% of water). 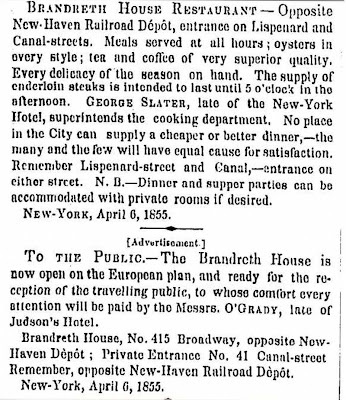 Besides Haviland Bro & co., I also left samples with Mr. William Churchhill Jr. and importer of China ware at the corner of Maiden Lane and William Street- (No 84 William).He promised to show to his European friends. Also, I saw Doct Fencht, the manager and soon found that I could do nothing with him. This has been a rainy, on Saturday November 3rd and it is a bad day for business, especially for packing and carrying bundles of Clay and an umbrella at the same time. Did what I could. I got new samples from the Express office. 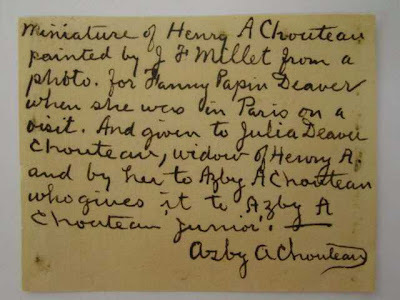 I gave Mr. Harens, at No 39 Wall Street, a part of one clay sample and also a sample of lead. He is keen to buy the property. I told him there was 1200 acres in all and that probably the whole could be had for $20,000. He will write me and probably ere long go and see the land. He is apparently anxious to buy it. I showed samples at the office of the American stove manufacturing company. They have no use for clay. I called at [blank line never filled in] on east side of Broadway No. 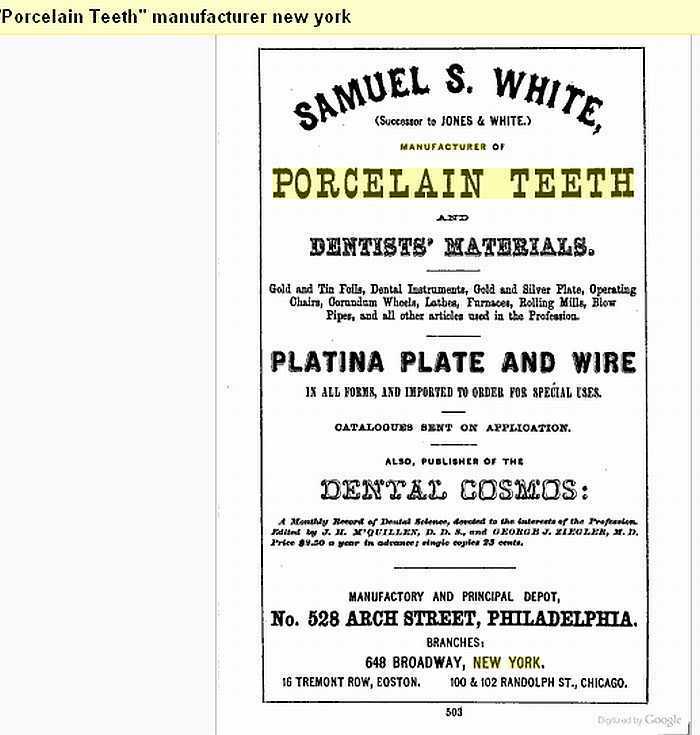 [blank] where large quantities of porcelain teeth are manufactured. 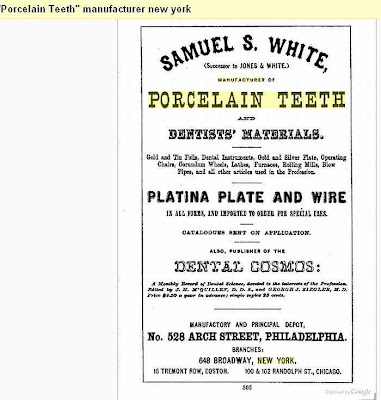 They are much interested in good kaolin, but more anxious to get a pure feldspar [mineral used for making glass], one that will fuse transparent and told me that such an article was worth seven or eight dollars per barrel... if I had it, which I do not, I doubt not I could get $10 per barrel. All the porcelain manufacturers use large quantities of it, but for their use it is not necessary needed that it should fuse transparent. I am in hope of finding some feldspar in our region, but don’t believe I can. I went to see a German -- Mr. William Getecke, who lives on 21st Street between 8th and 9th Avenue. He makes toys of porcelain or rather porcelain toys--. He was interested in the clay and will test it and write me. Thursday was "used up" a short, dark, wet day. Sunday, November 4th ---Today is cloudy with some rain. I got up late and read the newspapers, did not go to church and took a walk in the afternoon. In the evening, I read Spiritual Telegraph [newspapers]. Monday, November 5th- I spent most of the day in showing samples of kaolin to sundry [dry goods] importers of china ware whose cards I took. Most of them promised to show to their European friends who are interested in the manufacture of porcelain. In the afternoon I dispose of my last samples and finally felt it was time to start back to St. Louis. 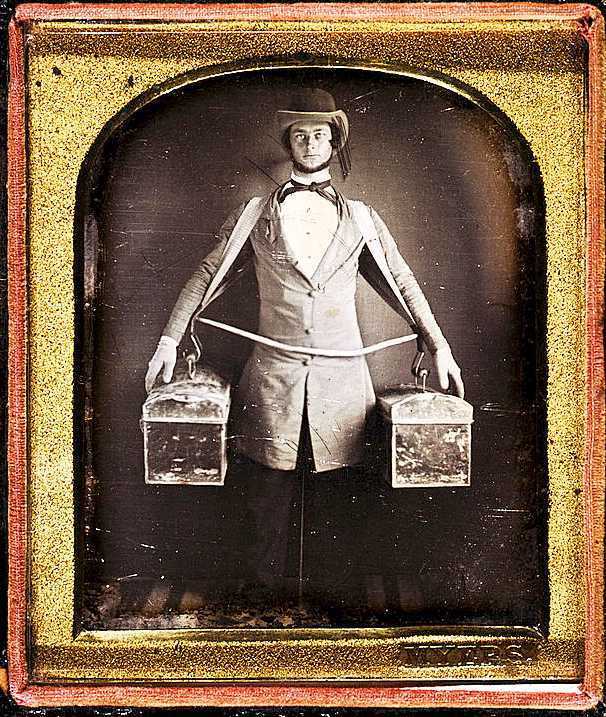 Tuesday, November 6, 1855- This is Election Day [two year term starting in 1856]. -- I spent the day in seeing the sites -- visited the polls and was disappointed in seeing everything going on so quietly and orderly. NOTE- Per Wikipedia, “Due to the chaotic political situation with the major parties split over the slavery question, a new party being founded by the fusion of factions…. The American Party had the most surprising election victory in the history of the State of New York, winning eight of the nine state offices. 16 Republicans, 11 Americans, four Democrats and one Temperance man were elected to a two-year term (1856-57) in the New York State Senate. 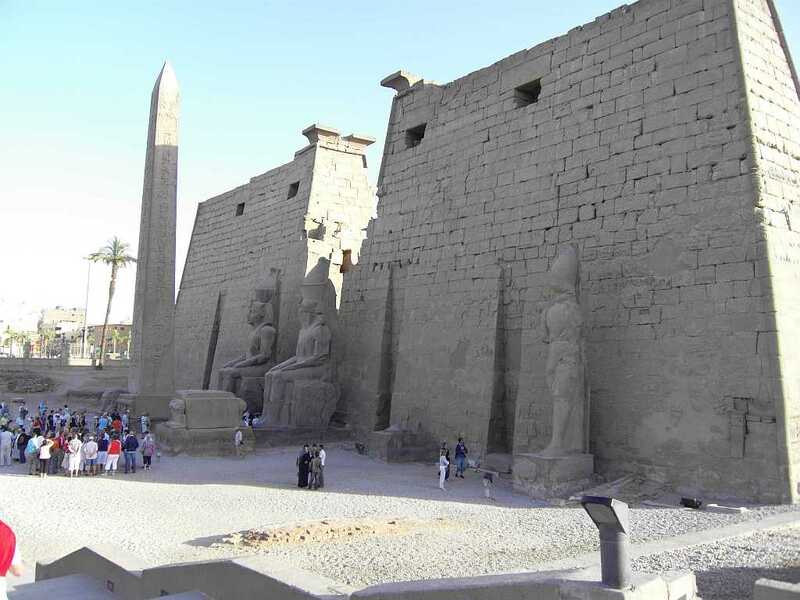 The most interesting thing that I noticed was a casting in bronze -- found among the ruins of Thebes [see above- now called Luxor, Eg ypt] -- of two large lizards in combat. They were coiled about each other in the most natural position possible -- with every muscle and scale seemingly as true to nature as if an exact copy. How it was done is a mystery to one. It certainly shows very high artistic skill. Wednesday, November 7th- I continued my sightseeing and visited the Crystal Palace at which is held [at] the Mechanic’s Fair. -- I saw very many very beautiful things and hundreds of the useful and ornamental (including US Pottery exhibit). The marble statues gave me great pleasure but the signs of progress [modern innovations?] in the arts that makes life to the million more comfortable and happy – were my sources of the highest and purest happiness. I could have spent a full week there with much pleasure, but I had to be as contented as possible with a few hours. 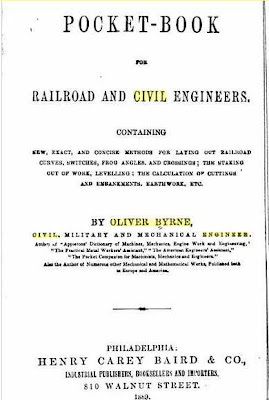 Thursday, November 8, 1855- I spent some time with Mr. Oliver Byrne, a well-known and justly celebrated engineer, both civil and military. I laid before him my plan for conveying passengers and freight by balloons and he examined it and pronounced it impracticable, although at first he thought it would work very well. In the afternoon visited anatomical museum and was very much interested. I shall visit it again with much pleasure if I ever again visit New York. -- Weather cloudy but not cold for the season. Friday, November 9th - Weather very fine. I spent the day in getting ready to start west and in seeing the crowds on Broadway -- the gorgeous show window -- the thousands of finely dressed ladies and children and the hundred and one interesting things that attract the attention of a stranger on Broadway.